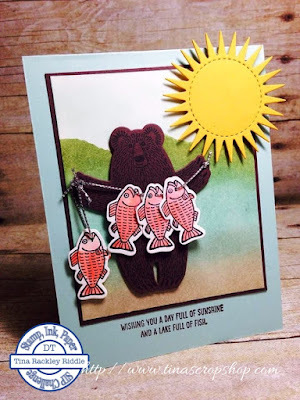 Tina's Crop Shop: SIP Challenge #48 - Color Challenge! Hello and Welcome! 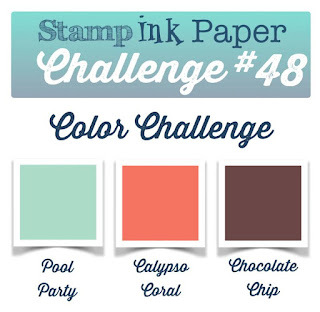 Since today is Tuesday it's, of course, time for another Stamp, Ink, Paper Challenge! Take a look at this awesome color combination! Well as usual Pool Party took me straight to water.. lol So water took me to the lake, the lake took me to East Tennessee because my daughter lives there are she and her hubby love to go to the lake on the weekends. Stay with me here... East Tennessee took me to brown bears and of course Chocolate Chip makes an awesome bear! So what to do with the Calypso Coral.. I went to salmon with that. I know, crazy, right?? Here's my card! 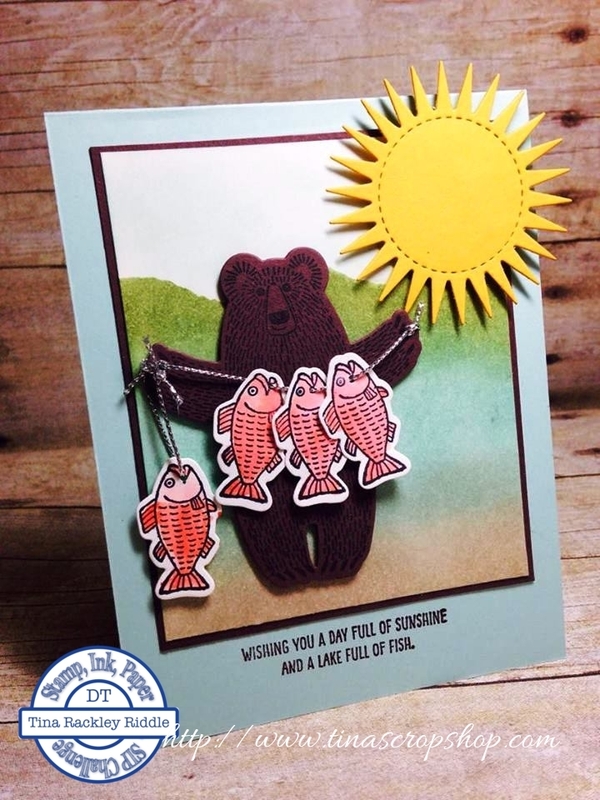 Thanks sooo much for stopping by and checking out my SIP design team card. Hope you have a blessed day and have time to get inky!